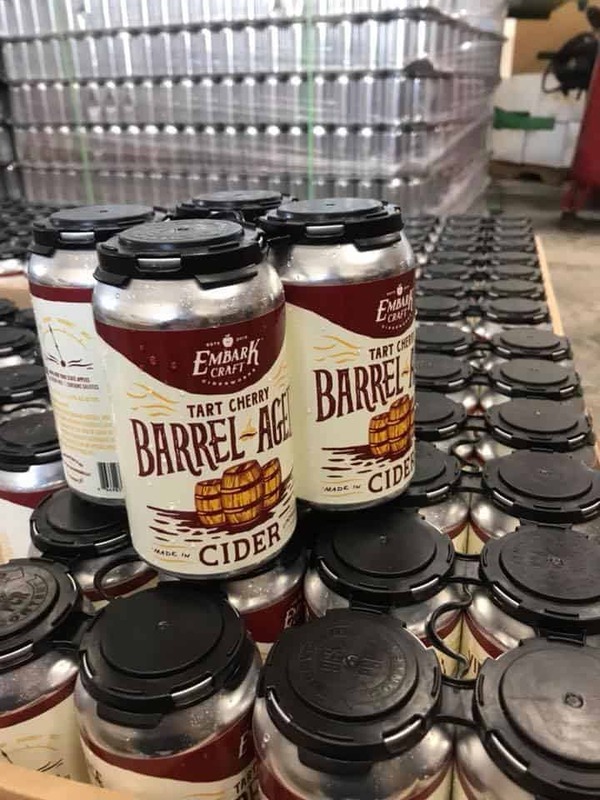 Embark Craft Ciderworks launched in 2015, when Jacob Lagoner, a co-founder, found himself becoming a bit disillusioned with commercial apple farming. 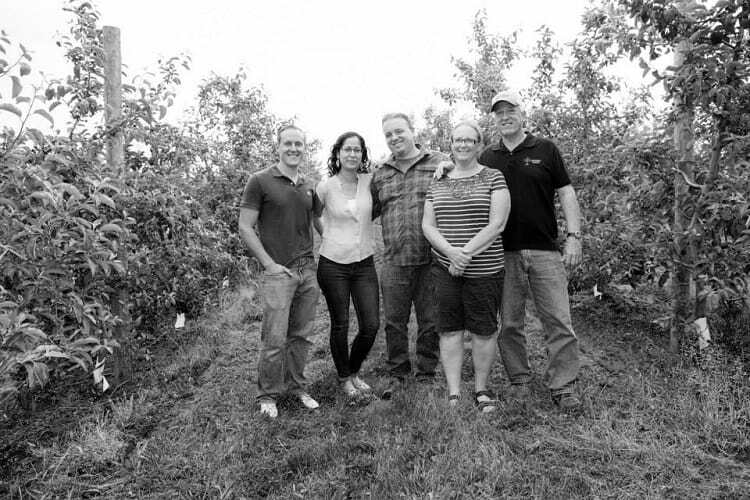 After he studied the craft for about three years, he eventually convinced his dad, Mark Lagoner, a 4th-generation orchardist and farmer, his mom Diana and his wife Mitzi that they should put the family apple orchards in Williamson, New York to use in a new way and start a cidery. Since his parents were busy running the farm, Jacob enlisted the help of his friend and beer brewing buddy Chris Gowan, who is now co-owner and co-cidermaker at Embark. We sat down with Jacob to discuss Embark’s journey from tree to glass, and how bucking tradition made his family’s farm better than ever. Cider Culture: Was it challenging to convince your family to start Embark Craft Ciderworks out of the family farm? Jacob Lagoner: Yes, it was a bit challenging convincing the rest of my family that we should start a cidery. I started reading and researching about cider apples in 2012 and got really interested in starting a cidery right around that time. After my family saw my excitement and passion about cider, they slowly came on board after a couple of years. Now, they are big cider fans! Why did you want to add this venture to the family business? It was a time when I was looking for something to keep me excited in farming. I was getting a bit jaded with commercial apple farming, as the variety mix was getting down to 10–15 varieties. The shift to cider has really brought my excitement about growing apples back. It drove me to dive into research about what apples make good cider, and what previous generations were growing in our area for cider. Cider making really became a passion that I was looking for at the time. How is the business structured? Are you the CEO/sole owner of Embark, or is it part of the overall family business? 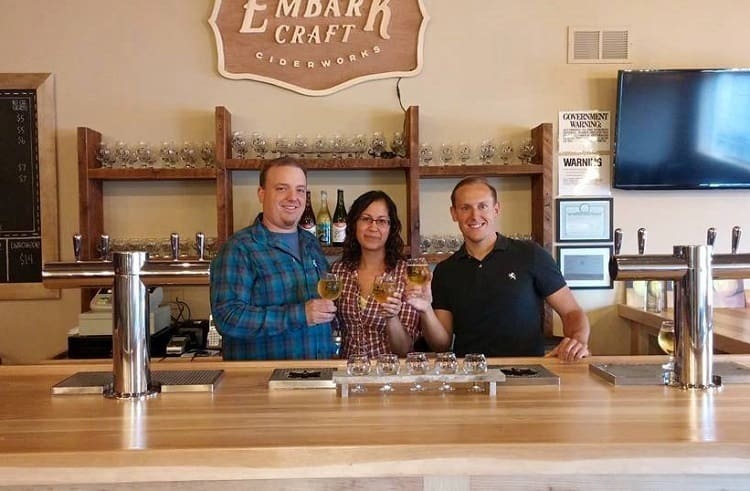 My wife and I are the majority owners in Embark Craft Ciderworks, and we have a co-owner, Chris Gowan. My parents played a critical role in the beginning getting Embark off the ground. 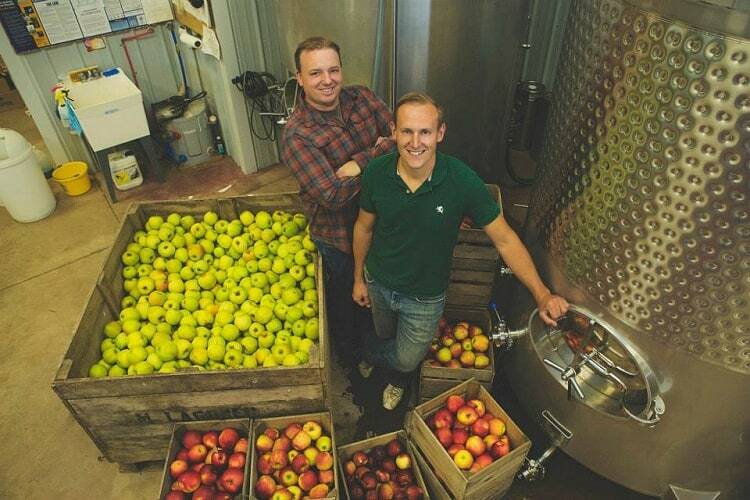 The most difficult part of opening the cidery was learning a new business from scratch. Even though there are some similarities to the produce business, it was a pretty steep learning curve right from the get-go. From working in the three-tier distribution system and managing a sales staff to bartending, we have learned a lot! The rest of my family isn’t really involved in the cider making. Chris and I and our production team do all of the cider making. How has starting a cidery helped and/or changed the farm? It has helped and changed our farm. We have decided to focus on growing fruit for cider, and that has driven us to increase our plantings of favorable cider varieties. Before we made cider, we grew 30 different vegetable crops for the local market. Two years ago, we made the decision to stop that, and [now] use that land for apple production. Starting a cidery also changed the way we grow apples, where we are now growing for juice quality instead of for the processing market. There are varying opinions about where cider will go. I have come to the conclusion that cider can be a lot of things, from dry and tannic to fruity and hopped. I think there will always be a lot of options available to consumers. My favorite ciders to drink are the more traditional, dry and tannic ciders, so we are planting a lot of bittersweet, bittersharp and heirloom fruit in our orchards to make more of these ciders. But, the craft beer-lover in me still wants to push the boundaries of what cider can be, as we are making our Dreamcicle series of ciders. I would love to see consumers choose cider more frequently as their drink of choice, which means that we as cider makers have to make ciders that people enjoy. Writer’s note: The first in the Dreamcicle series, The Tropics, launched in May 2018 and is wild and lactose fermented, dry-hopped, barrel-aged and blended with three other fruits. Two more Dreamcicle ciders are already in the works with the next to be released in July. What are some of the lessons you’ve learned in 3+ years of operations? Do what you love! And surround yourself with positive people. What will the next three years bring for Embark? More traditional ciders in single-serve format, and possibly second or third taproom. We will continue to explore cider. 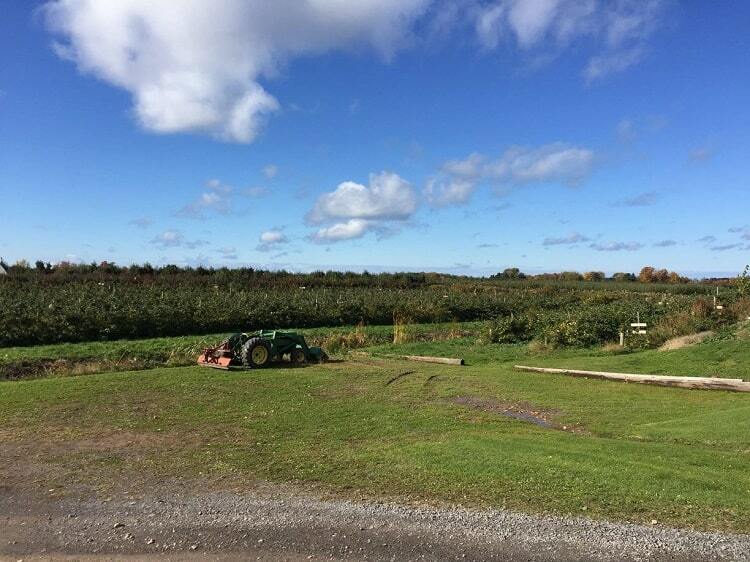 I am a 5th-generation apple orchardist, but from a very conservative family, so I believe I am the first cidermaker. But my thought is that some generation before me had to have a barrel of cider in their basement at some point! To learn more about Embark Craft Ciderworks, visit its website, Facebook page and Instagram and learn more about the family’s farm at the Lagoner Farms’ website. 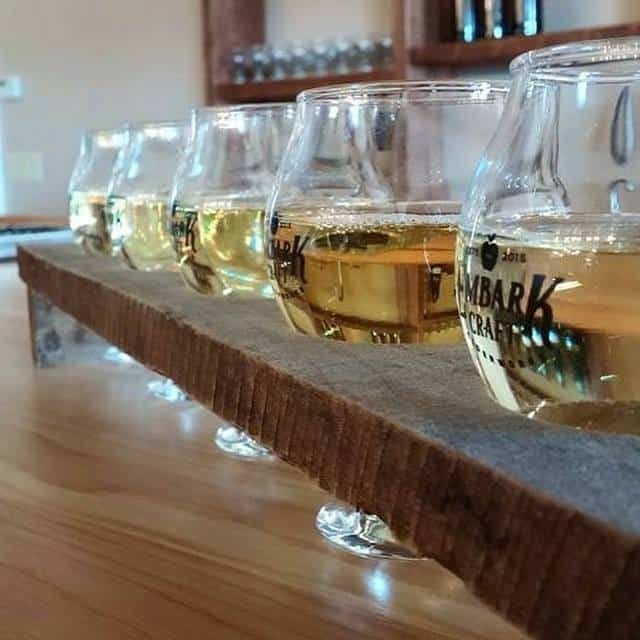 Embark Craft Ciderworks is located at 6895 Lake Ave. in Williamson, NY; phone: (315) 409-4212.